My dad’s cousin and his family took us on a road trip from Sydney to Canberra on our first week in Australia. It was a 4-hour drive away from Sydney, and we went there just for a day trip. The first place we visited was the Parliament House. 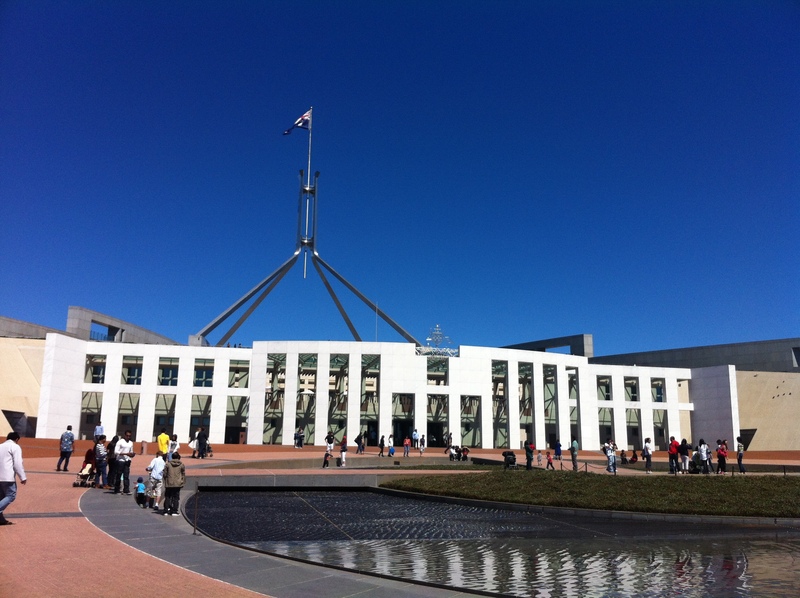 According to http://www.aph.gov.au : “The home of Australia’s Parliament and the meeting place of the nation, Parliament House is located on a 32-hectare site on Capital Hill and is the focal point of Canberra, the capital city of Australia. 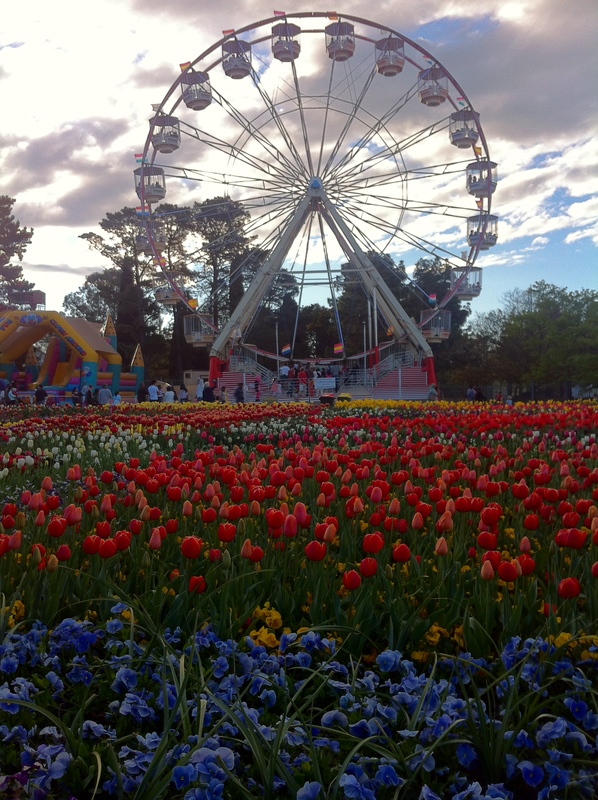 It was opened on 9 May 1988 by Her Majesty Queen Elizabeth II.” Contrary to the usual impression that the capital city of Australia is one of either Sydney or Melbourne, it’s actually Canberra, which is located in the middle of the two. There is not a lot about Canberra as a city besides being the Capital of Australia, and precisely because the city is really just built geographically in the middle of Sydney and Melbourne to serve as the political centre of the country. Visitors and tourists are allowed inside the Parliament House, but not before a security check comparable to an airport. 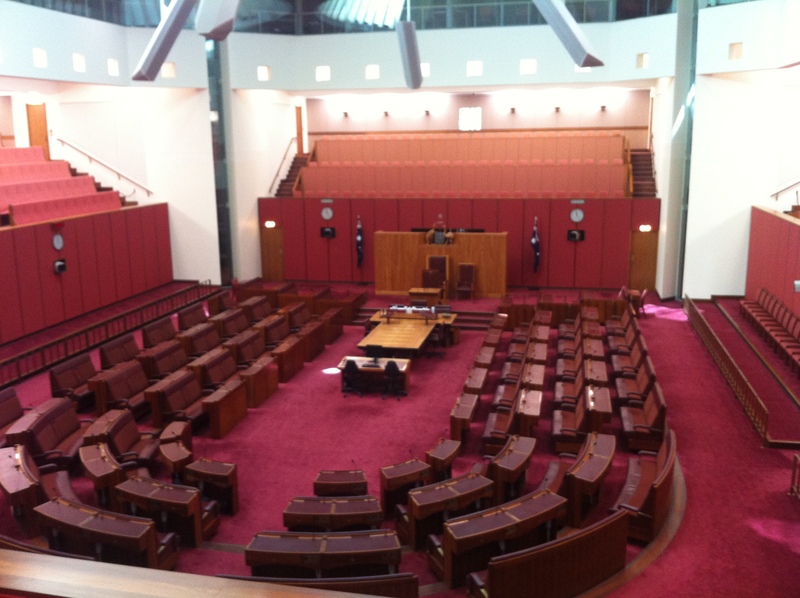 A lot of areas inside the Parliament House were available for access to visitors, including the Great Hall, the Parliament House Art Collection, and Senate and House of Representatives Chambers (when there are no ongoing sessions). You can also go up to the green roof-deck of the building, which actually inclines downwards to the first level, serving both as part-roof and part-facade. 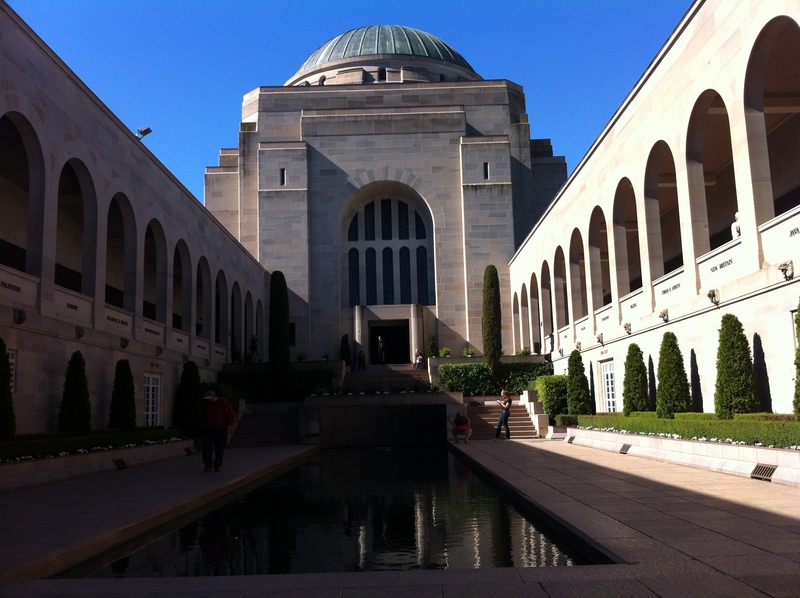 Next, we went to the Australian War Memorial Museum. According to http://www.visitcanberra.com.au : “The Australian War Memorial commemorates the sacrifice of Australian men and women who served in war. Visit one of the world’s great museums; an outstanding archive and centre for research into Australia’s wartime history.” It’s a pretty interesting place, but I couldn’t appreciate it in its entirety because I was not familiar with the history of Australia, especially their war history. But it indeed is very remarkable how Australia give so much thought and effort to remembering all their heroes and fallen during the past two world wars.